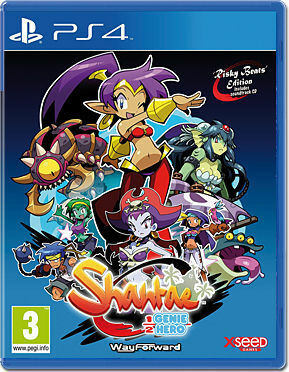 Shantae's Trademark Belly Dance Moves Return - Dance to transform into all-new (and fan favorite) creatures; 8 transformations and over a dozen dances to master. New Relic System - Unlock new powers and customize Shantae's move set for a platforming experience uniquely tailored to your own gameplay style. Conquer Arcade-Style Action Stages - Beat the boss, then find new items and secrets by way of the new abilities and transformations you've learned, linking Sequin Land into a fully explorable world. Huge Bosses, Humorous Dialogue - Become reacquainted with the cast of Shantae in full HD, with exquisitely detailed sprites, immersive 2.5D backdrops, wonderfully off-beat dialogue, and nonstop action.